In 16th-century England, two teenage best friends find themselves on an exciting journey from the country to the Queen's court in the hope of being named ladies-in-waiting. But Sybille and Rose soon discover they aren't the only girls who have their sights set on attending Her Majesty. The girls must compete against worldly and cunning opponents, among them mean-girl Avis and her entourage of back-stabbing co-horts, tipping the balance in their already-tenuous friendship. Soon, the grand hall is more like the hallway of a prestigious finishing school, with girls fighting for the attention of a dashing, young earl, amid parties fueled by drinking and indiscriminate dalliances. As the tension between Sybille and Avis heats up, the focus on Rose wanes, allowing her to turn her attention to more important matters – like getting close enough to the Queen to learn her secrets. But being close to the Queen is not without its challenges. And when rumors of Rose's influence make their way around the castle, no one, not even the Queen, will be safe. 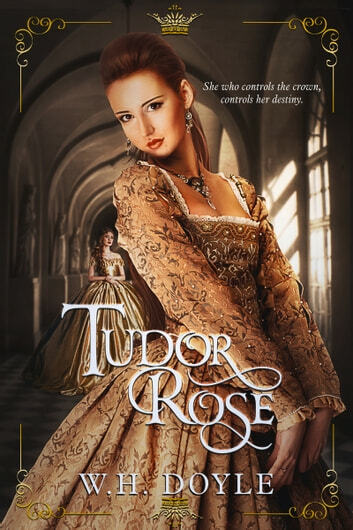 The main character finds herself in 16th century England on an exciting journey to the Queen's court in hopes of serving as a lady-in-waiting, but instead lands in a tangled web of lies, deceit, in a competition for the top spot at the castle where it seems as though no one is safe. I liked the main character, Rose, who comes from nothing, but burns with a determination to make a name for herself. Sybille, her best friend, was a pretty unrelatable and unreliable character, not necessarily a bad thing, just made me not trust her, wondering where her true loyalities were. Celebratory galas and parties never turned out how imagined, and each page created its own obsticles. Like a cunning princess, a mean prince, a persistant Earl, and a queen who's as ruthless as she is powerful. And someone, somewhere amongst them all, is a spy. Quite a fun read if you enjoy intriguing historical novels! !